BINDING AGREEMENT. All orders placed by the customer are binding and as such are non-cancellable and non-returnable. Customer shall be bound by the terms of this Invoice whether or not signed by Customer unless Customer objects in writing specifying a term or terms involved. The failure of the Customer to object to the terms of the Invoice including but not limited to the identification of the materials shown on the face hereof, the unit pricing, the quantity or the total due within ten (10) days after the Invoice date shall be conclusively deemed to constitute acceptance by Customer of such terms. In addition to the foregoing, in the event Customer receives this Invoice prior to receipt of the materials, Customer shall be required to immediately notify EBY Electro, Inc. of any dispute or discrepancy in the identification of the materials shown on the face hereof, the unit price, the quantity or the total due. The acceptance by Customer of the materials without such prior notification to EBY Electro, Inc. of the dispute or discrepancy shall be considered a waiver by Customer of its claim and Customer shall be deemed to have accepted the materials in accordance with the terms of this Invoice. The order covered by this Invoice may not be cancelled by Customer unless EBY Electro, Inc. consents thereto in writing. PAYMENT. Payment terms are: Net 30 days unless other payment terms are specifically indicated. A finance charge at the rate of one and one half (1 ½ %) percent per month (or the highest rate permitted by law, if lower) of the Invoice balance will be charged if payment is not received within thirty (30) days from the due date. In the event Customer intends to resell the materials, it is agreed that payment to EBY Electro, Inc. shall not be dependent upon receipt of payment by Customer from its buyer. DELIVERY. Subject to the term of this Invoice. EBY Electro, Inc. will use its efforts to deliver the materials in an orderly and businesslike fashion. Unless otherwise specified on the face of this Invoice, Customer agrees to accept delivery of the materials when tendered by EBY Electro, Inc. In those instances when EBY Electro, Inc. does not have the materials in stock it will schedule a delivery date following its receipt of the materials and Customer agrees to accept the delivery of the materials when tendered by EBY Electro, Inc. In the event Customer requests a postponement of the delivery, EBY Electro, Inc., at its option, may (a) require Customer to pay the balance due on the originally specified payment date or (b) utilize the materials for other customers or other purposes. In the event Customer pays the balance due as set forth in (a) above, EBY Electro, Inc. agrees to hold the materials for Customer for a period not exceeding thirty (30) days in the event Customer does not pay the balance due as required, does not accept delivery of the materials within the thirty (30) day period after having paid for same, or EBY Electro, Inc. elects to use the materials as set forth in (b) above, then in any of those events, EBY Electro, Inc., as it options, may refund to Customer any monies previously paid for the materials or reorder the materials for the Customer. Said reorder will be subject to availability and pricing schedules then in effect. Provided; however, that nothing set forth above shall relieve Customer of the obligation to pay for the materials as specified in this Invoice. Any postponement of the delivery date specified by EBY Electro, Inc. at the request of Customer is an accommodation by EBY Electro, Inc. and does not relieve Customer of its obligations hereunder. The delivery date specified by EBY Electro, Inc. may be changed by it in accordance with the other provisions of this Invoice. Notification of a change in the delivery date shall be given to Customer orally or in writing. Time of delivery is not of the essence unless specifically set forth on face of this Invoice. INSPECTION. Customer shall inspect the materials within forty-eight (48) hours after delivery. Unless Customer gives written notice to EBY Electro, Inc. within ten (10) days from the delivery date specifying any damage or defect or other objection to the materials or shipment, it shall be conclusively presumed, as between Customer and EBY Electro, Inc., that Customer has fully inspected and acknowledged that the materials comply with all the terms, conditions and specifications of the order and that Customer is satisfied with and has accepted the materials in such condition and repair. RETURNS. All requests for return are subject to review and acceptance by Eby Electro Inc. Nonstandard or custom parts will not considered for return, unless the parts are deemed to be defective. No returns will be accepted without prior written return authorization from EBY Electro, Inc.. All requests for returns must be made within thirty (30) days from the delivery date. Materials tendered for return (except those tendered for defects) must be in saleable condition and, in all cases, must be packed in original cartons and returned shipping prepaid to EBY Electro, Inc. accompanied by a return authorization number clearly displayed on the shipping label. Regardless of shipping terms, materials returned shall remain at the risk of Customer until actually received by EBY Electro, Inc.
WARRANTY. 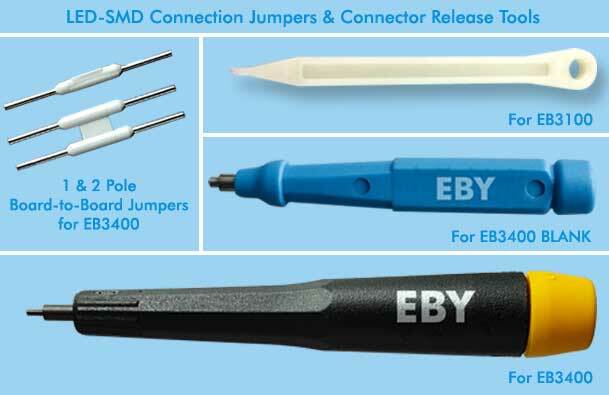 Materials will, at the option of EBY Electro, Inc., be accepted for return, repair, or replacement, provided Customer gives written notice of the damage, defect or other objection to the materials, to EBY Electro, Inc. within ten (10) days from the delivery date. EBY's standard warranty is 12 months from date of purchase. 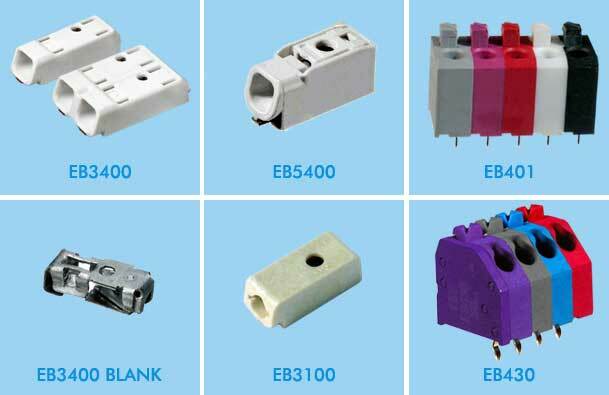 EBY Electro, Inc. makes no representation that the materials are suitable for any specific use or purpose. In addition, EBY Electro, Inc. shall not be responsible for mismarkings on shipments except to the extent that the same may be returned in accordance with the warranty contained herein. EBY Electro, Inc. will be the sole judge of whether materials tendered for return are damaged or defective or whether Customer’s claim should be honored. EBY Electro, Inc. will be given a reasonable opportunity to investigate any claim. LIMITATION OF WARRANTY. EBY Electro, Inc. shall not be obligated to accept the tender of any materials for return, repair or replacement if Customer: (a) Makes or attempts to make alteration of any kind to the materials: (b) is negligent or does not use due care with regard to the materials: (c) Subjects the materials to abuse or other than ordinary use: (d) Permits any third party to do any of the foregoing: (e) Does not give notice of the existence or nature of any damage defect or other objection to the materials within the time periods specified herein. LIMITATION OF LIABILITY. THE OBLIGATIONS OF EBY Electro, Inc. SPECIFIED IN PARAGRAPH 7 HEREOF SHALL BE THE TOTAL LIABILITY OF EBY ELECTRO, INC HEREUNDER. EBY Electro, Inc. MAKES NO WARRANTIES OR REPRESENTATIONS, EXPRESS OR IMPLIED, IN FACT OR IN LAW INCLUDING WITHOUT LIMITATION IMPLIED WARRANTIES OF MERCHANTABILITY OR FITNESS FOR ANY PARTICULAR PURPOSE. IN NO EVENT SHALL EBY ELECTRO, INC BE RESPONSIBLE FOR PAYMENT OF ANY INCIDENTAL OR CONSEQUENTIAL DAMAGE INCLUDING WITHOUT LIMITATION LOSS OF USE, LOSS OF PROPERTY, PERSONAL INJURY, LOSS OF PROFIT OR LIABILITY TO THIRD PARTIES. OWNERSHIP OF MATERIALS. The materials shall remain the property of EBY Electro, Inc. until payment has been made in full (including all finance charges, if any). EBY Electro, Inc. may enter Customer’s premises while an employee of Customer is present in order to retake possession of any materials for which payment in full has not been received. MATERIALS. The size, gauge, temper, surface quality and tolerances of materials shall conform to industry or trade standards. EBY Electro, Inc. may make reasonable adjustments to the quantity ordered in conformity with industry or trade practices. Quantity variations of 10% shall be acceptable. Customer may not reject materials based upon quantity variations as indicated above. FORCE MAJEURE. EBY Electro, Inc. shall not be liable to Customer for any delay or failure to perform its obligations with regard to the order covered by this Invoice or otherwise if the same arises from any cause beyond the reasonable control of EBY Electro, Inc. (whether or not similar in nature to any of those herein after specified), including but not limited to labor disputes, strikes, other labor or industrial disturbances, inadequate transportation facilities, delays or interruptions in transportation, currency or price fluctuation, acts of God, floods lightning, shortages of materials, rationing, utility or communications failures, malfunctions or disturbances, earthquakes, casualty, war, acts of the Public Enemy, riots, insurrections, embargoes, blockages or actions, restrictions, regulations or orders of any government agency or subdivision thereof. SHIPMENT, LOSS OR DAMAGE. Customer hereby assumes all risk of loss and damage to the materials in accordance with the terms of delivery. Unless otherwise specified on the face of this Invoice, risk of loss or damage shall pass to the Customer upon the earlier of (a) delivery of the materials to a common carrier for transportation to Customer or (b) delivery of the materials to the Customer’s facility or other location designated by Customer. The method of shipment of the materials shall be at the discretion of EBY Electro, Inc. unless otherwise specified on the face of this Invoice. INDEMNIFICATION. Customer shall indemnify against and hold EBY Electro, Inc. harmless from any and all claims, actions, suits, proceedings, costs, expenses, damages and liabilities, including attorney’s fees, arising out of, connected with or resulting from Customer’s possession or use of the materials. Customer shall pay EBY Electro, Inc. all costs and expenses, including attorney’s fees, incurred by EBY Electro, Inc. in exercising any of its rights or remedies hereunder or in enforcing any of the terms, conditions or provisions of this Invoice. ASSIGNMENT. The Customer may not assign its right under this Invoice without the prior written consent of EBY Electro, Inc.
EBY Electro, Inc. reserves the right to change any of these terms and conditions without notice.